With so many print and color stories in fashion, it can be a full time job keeping up on what’s new. So, we’ve made it easy by doing the work for you. Our trend guides feature months of research distilled into easily digestible directions created with the print designer in mind. For Autumn/Winter 15, we focus on twelve key print trends presented with an abundance of inspirational imagery culled from fashion, art, photography, interiors, and more. Directions come alive with magazine-style layouts which bring clarity to the endless possibilities found in the current visual landscape. Likewise, our color stories provide seven essential Pantone color palettes that will help your product or print collections stay on-trend. 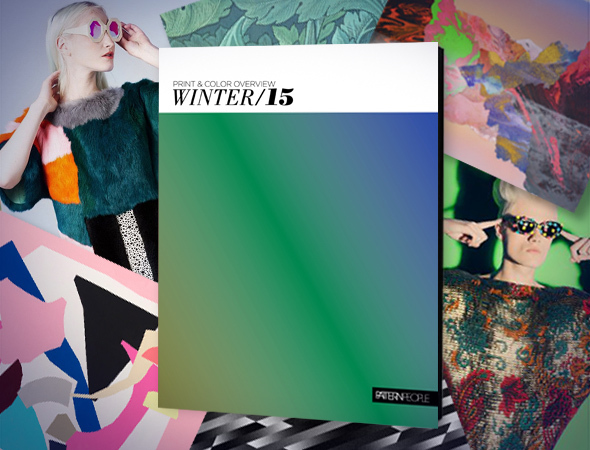 Whether you are an independent designer, a small studio, or part of a large company, our Winter 2015 Print & Color overview guide is a vital tool that will help you get inspired for all of your upcoming creative pursuits.